If you’ve used PyTorch you have likely experienced euphoria, increased energy and may have even felt like walking in the sun for a bit. Your life feels complete again. That is, until you tried to have variable-sized mini-batches using RNNs. All hope is not lost. After reading this, you’ll be back to fantasies of you + PyTorch eloping into the sunset while your Recurrent Networks achieve new accuracies you’ve only read about on Arxiv. How to implement an LSTM in PyTorch with variable-sized sequences in each mini-batch. What pack_padded_sequence and pad_packed_sequence do in PyTorch. Masking padded tokens for back-propagation through time. TL;DR version: Pad sentences, make all the same length, pack_padded_sequence, run through LSTM, use pad_packed_sequence, flatten all outputs and label, mask out padded outputs, calculate cross-entropy. Why is this so hard and why do I care? Feeding variable length elements at ONCE into an LSTM has been a huge technical challenge which frameworks like PyTorch have largely solved (Tensorflow also has a nice abstraction but it’s very very very involved). Furthermore, the documentation is unclear and examples are too old. Properly doing this will speed up training AND increase the accuracy of gradient descent by having a better estimator for the gradients from multiple examples instead of just ONE. Although RNNs are hard to parallelize because each step depends on the previous step, we can get a huge boost by using mini-batches. While I can’t help you with your Justin Bieber obsession (I won’t tell), I can help you do part of speech tagging on your favorite JB song, Sorry. Here’s an example of the model with the song sentence: “is it too late now to say sorry?” (removed ‘to’ and ‘?’ ). While you can do a ton of formatting, we won’t... For simplicity, let’s make this contrived batch of data with different sized sequences. When we feed each sentence to the embedding layer, each word will map to an index, so we need to convert them to list of integers. Same for the classification labels (in our case POS tags). These won’t be embedded. Trick 1: Make all sequences in the mini-batch have the same length by padding. What is in a box and has all different lengths? Not our mini-batch! For PyTorch to do its thing, we need to save the lengths of each sequence before we pad. We’ll use this information to mask out the loss function. Finally, we’re ready to calculate the loss function. The main point here is that we don’t want to take into account the network output for padded elements. Intuition alert: Best way to think about doing this is to FLATTEN ALL network outputs AND labels. Then calculate the loss on that ONE sequence. Waaaaaaaa… It’s that easy. Now you can train your model MUCH faster with mini-batches and get back to obsessing over JB (still won’t tell, don’t worry). Use Bidirectional mechanism (don’t forget to modify init_hidden). 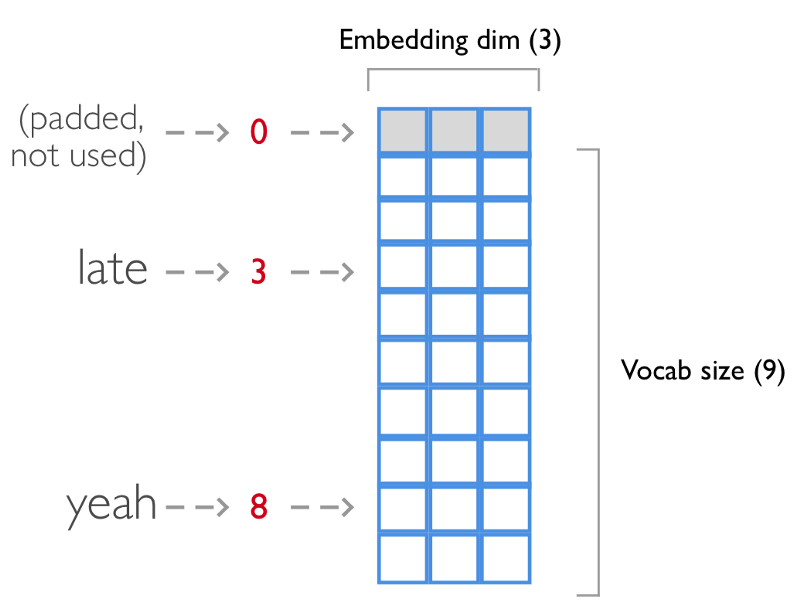 Use character level features by creating an encoding vector with a Convolutional network and appending to the word vector. And of course, a very thorough hyper-parameter search using the best hyperparemeter optimization library for Python: test-tube (disclaimer: I wrote test-tube). Use pack_padded_sequence to make sure LSTM doesn’t see padded items (Facebook team, you really should rename this API). Undo step 3 with pad_packed_sequence. Flatten outputs and labels into ONE LONG VECTOR. Bio: William Falcon is a PhD Candidate, AI, Neuroscience (NYU), and Co-Founder @Nextgenvest. He is a former Product Manager and iOS Eng. Prior at Goldman Sachs, Bonobos, Columbia.